You have probably heard it a million times – there is a technology revolution and mental health services are not exempt. In both research and the private sector there is much buzz about the potential of technology to transform mental health service delivery (Jones, 2014; Kazdin & Blasé, 2011). Case in point, Dr. Tom Insel recently stepped down as the Director of the National Institute of Mental Health (NIMH) to take a position with the Google Life Sciences team to work on innovating health technologies (NIMH, 2015). Despite such exciting changes, it would be remiss to overlook clinician wariness regarding technology and they have a point – several in fact (Becker & Jensen-Doss, 2013; Ramsey et al., 2014). First, there is increasing evidence for the success of technology-enhanced interventions (Gros et al., 2013; Musiat & Tarrier, 2014); however, the jury is still out, particularly if we consider the relative lack of attention to examining the likelihood that technology will work beyond academic and research settings and in naturalistic, community-based settings. Second, mental health technologies, particularly apps, are a dime a dozen in part due to the ease of marketing via the Internet and Apple’s App Store (Torous, Chan, Yellowlees, & Boland, 2016). Third, clinicians, understandably, are not quite sure that they want to hand over some of their responsibilities to digital services, especially if they are not going to be reimbursed and/or such redistribution of efforts leads to loss of income (Ramsey et al., 2014). 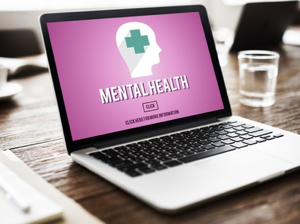 While these are all important things to consider, technology is already being used in a range of health care and practice settings in ways that are not well monitored and, in turn, psychologists and other mental health service providers run the risk of, at best, being left out and, at worst, left behind. So, bridging this research to practice gap necessitates clinical-scientists playing a more active role in developing and testing technology that includes clinician buy-in and an awareness of and solutions for clinician wariness and skepticism. This means that everyone from researchers to policy-makers to therapists and clients need to do their homework. We believe that it is important for clinicians to know what they are asking their clients to use. This not only means that they should try out the technology and use it on their own, but also that they should have some awareness of the development process, the empirical data supporting the application, and what is happening with their clients’ data. Tracking all of these things, of course, takes time and effort which could be eased if developers and researchers do a better job of incorporate end-users in developing and testing, as well as providing accurate and easily accessible information regarding study data, risks and benefits, as well as cost and data security. Developers should engage clinicians from diverse educational backgrounds, service settings, and areas of expertise early in the development process. Use iterative design and development processes to account for different adoption setting needs. Solicit specific feedback about technology access, literacy, funding and organizational needs, in order to improve the feasibility of technology. Require safeguards to be places within the technology to improve privacy (e.g., passwords, data storage on clouds). Develop and require compliance with regulatory guidelines to ensure that the technology is useful, secure, and evidence-based before the technology is distributed on the market. Incentivizes adoption with reimbursement and funding policies. Dissemination of information about the cost-effectiveness, feasibility, and effectiveness of technology interventions is needed to combat wariness. Promote the use of new methodologies that allow researchers to keep pace with the private sector and technology trends. Use direct-to-consumer marketing, including blogs, podcasts, websites, and other social media to get the word out about mental health technologies to end-users, including clinicians and clients. Use innovation champions to build internal support for technology adoption. Create opportunities for exchange between researchers, developers, and end-users to demystify products and to provide end-users with trial periods. Within organizations, resources (e.g., technological and support staff) should be allocated to clinicians trained in technology-enhanced approaches to promote sustainable use. To decrease the burden on adopting organizations, training should be built-in to the technology (e.g., online troubleshooting, videos describing use). Technology developers should provide in-person or on-call technical support for unforeseen issues and troubleshooting. Electronic manuals, similar to evidence-based treatment manuals, can be used to supplement in-person training. In order for the field to capitalize on technology’s full potential, we must continue to identify barriers to the adoption and use of these tools, develop technology to fill a service gap that will be perceived as useful to clinicians and organizations, and find ways to support and incentivize the use of technology in services. The proposed model aims to address these issues, however, large-scale adoption efforts are needed to establish its effectiveness. Collectively, this research will help guide clinicians and organizations in determining when technology use is indicated, for whom technology use may be helpful, and what technologies may be the most effective in supporting the therapeutic process. Anton, M. T., & Jones, D. J. (2017). Adoption of Technology‐Enhanced Treatments: Conceptual and Practical Considerations. Clinical Psychology: Science and Practice. Are some organizations/clinicians more prepared to incorporate mental health technologies into practice? What aspects of the proposed framework will be the most helpful in promoting the use of technology-enhanced interventions? Are there additional barriers to adopting mental health technologies that are not included in the model? If so, how will these barriers influence the uptake of these interventions? Do you use technology with your clients? If so, how did you learn about these adjunctive technologies and vet them before using them with your clients? Would the proposed framework help you decide which technologies to use? Margaret Anton is a clinical psychology doctoral candidate in the Department of Psychology and Neuroscience at the University of North Carolina at Chapel Hill working with Dr. Deborah Jones. 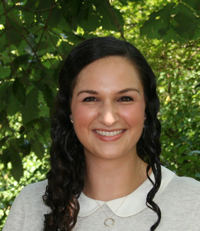 She is also a predoctoral fellow through the Carolina Consortium on Human Development (CCHD). Margaret’s program of research aims to examine for whom and when do technology-enhanced interventions work, identify effective strategies for developing and disseminating technology-enhanced interventions, and expand the reach of evidence-based practice to underserved and hard-to-reach populations. Anton, M.T. & Jones, D.J. (in press). Adoption of technology-enhanced treatments: Conceptual and practical considerations. 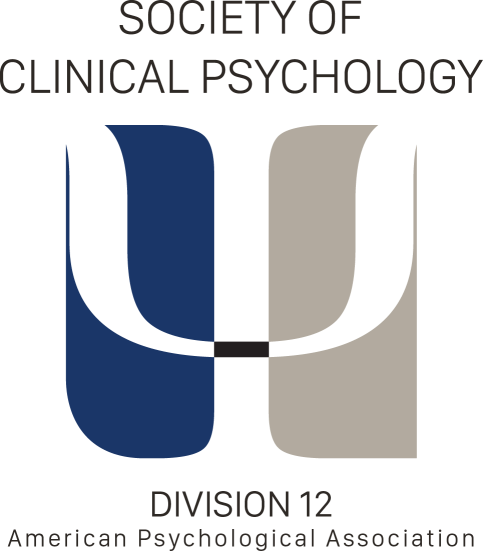 Clinical Psychology: Science and Practice.